IFA 2016: AKG introduces N40 in-ear headphones with customised sound filters | What Hi-Fi? 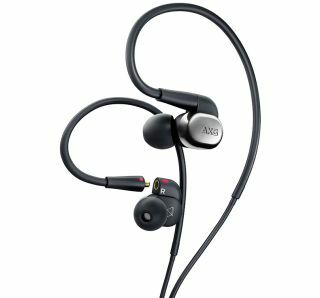 AKG has chosen IFA 2016 to unveil its N40 in-ears, the latest addition to the firm’s N-series of headphones, which includes the Award-winning N60 NC noise-cancelling model. AKG claims that the N40s are capable of “reproducing every detail of a music track, from crystal highs to deep bass”. They are hi-res audio certified by the Japan Audio Society meaning they’re able to produce frequencies up to at least 40kHz. The N40’s party trick lies in three selectable sound filters, letting you pick between increased bass, linear sound or boosting higher frequencies. The drivers are contained in a stainless steel housing. AKG has opted for a behind-the-ear design to help improve comfort and ensure the in-ears do indeed stay in your ears. Michael Mauser, president of the Lifestyle Audio Division at Harman, says: “The AKG N40 embodies AKG’s legendary sound and refined design, while featuring patented technology to ensure a personalised listening experience. “We are pleased to offer consumers the same high-resolution audio that is heard in sound studios, straight from their own portable device." The AKG N40 in-ears should be available from September in silver for £349. MORE: What are hi-res headphones? And do they sound better?